Why Do Coffee Bags Have a Valve? Ever wondered what the little valve at the top of your coffee bag is for? Want to know why it’s there, and what it’s used for? Our below blog post looks into why coffee bags have a valve, and what the purpose of the valve is. What’s The purpose of a Coffee Bag Valve? Whilst you may have heard or thought that the hole at the top of coffee bags are there for you to release the sensational fragrance of roasted coffee beans, it actually performs a different and more practical function. The coffee bag vent is there to keep your coffee fresh and delicious for as long as possible. That tiny little valve does a fantastic job of lengthening the shelf life of your coffee and preventing it from going stale, but it also stops the coffee bag from bursting! How Does a One-Way Coffee Bag Valve Work? As the name states, the valve is involved in a ‘one-way’ gas exchange that lets nothing in but allows co2 to pass through and out of the bag. When coffee beans are roasted they react by releasing carbon dioxide as a by-product. The carbon dioxide released by the roasted coffee makes its way out of the bag through the valve. However, the valve does not let any gaseous substances in. Removing co2 from your coffee bag whilst letting no air in is the process known as de-gassing. Why Would De-Gassing Your Coffee Be of Benefit? De-gassing your coffee bag is what keeps your coffee fresh so that you can wake up to a delicious cup of warmth every morning and throughout the day, for substantial periods of time. Firstly, when coffee beans react with oxygen (in the air) they begin to turn stale, which is never good news. Oxygen and fresh coffee are a bad combination. By not allowing oxygen to interact with the freshly roasted coffee beans, you are preserving the coffee beans, and as such, guaranteeing the freshness of your coffee for longer periods of time. However, if the coffee bags were to be left fully-sealed and airtight, whilst this would technically protect those precious coffee beans from the oxygen in the air, it would not protect the bag from self-destructing. You may think that sounds a bit far-fetched, but it’s true. The beans in the bag are releasing co2, thanks to the roasting process, and this gas would begin to fill up in the bag. The build-up of co2 in your bag will cause it to keep expanding constantly until its ruptured and burst which, in the end, would expose your coffee beans to oxygen – what a nightmare! 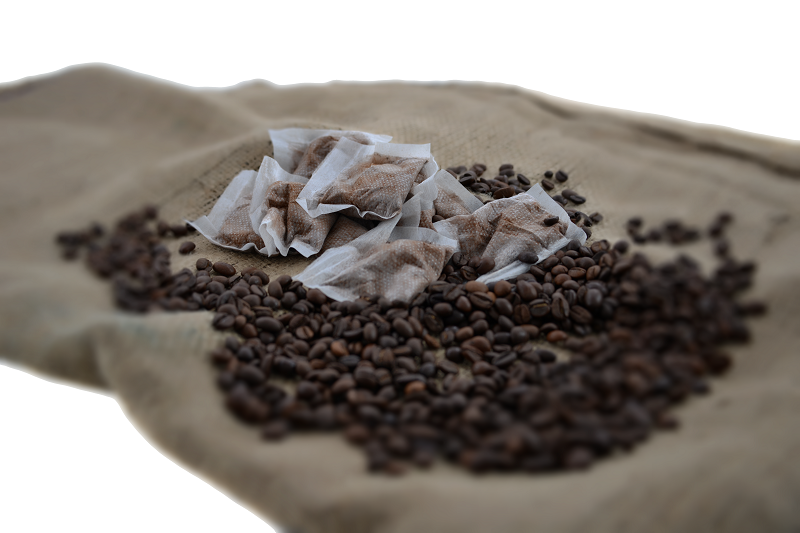 Coffee bags with a valve provides an ingenious way of keeping your coffee beans in good shape so that each cup you make tastes as fresh as ever.